The Auvergne-Rhône-Alpes offers some of the best hiking in France. It’s popular in summer when the ice of the Alps melts a little and more trails are accessible. The supernaturally beautiful Mont Blanc massif features the Mer de Glace valley glacier and the Dent du Géant, so you’re guaranteed breathtaking holiday pictures. 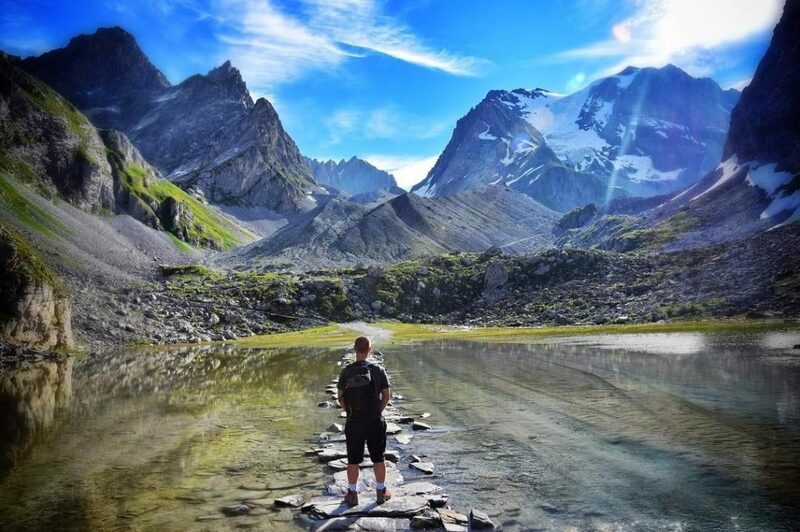 The Vanoise National Park, between the Tarentaise and Maurienne valleys of the Alps, is one of the most popular areas for walking in the region, with more than 600 kilometres of trails for all abilities. You might even spot that great symbol of the French Alps – the majestically horned Alpine ibex. For those who prefer flatter walks, the Ardèche area is a picturesque choice, and includes the must-see Gorges de l’Ardèche, while the Haute-Savoie area encompasses the awe-inspiring setting of Lake Geneva. 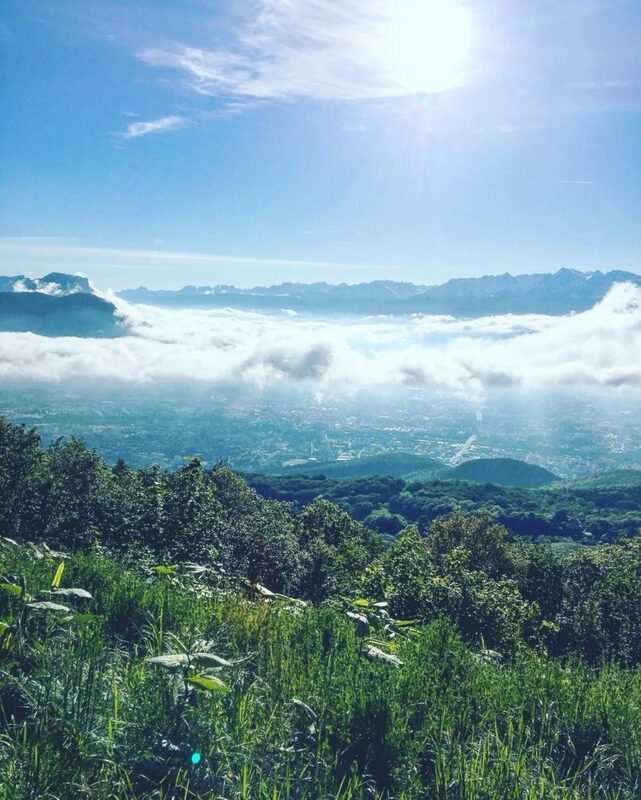 Whichever area you choose, plan your hikes in France and make the most of this glorious scenery with the following apps, which will help you find the best ​‘hikes near me’ wherever you base yourself. The SNCF app allows you to book, download and exchange train tickets through your smartphone while on the go. Over 4,000 stations in France and surrounding countries are listed in the app. It’s the quickest way of checking schedules, comparing prices and securing yourself a seat, allowing you to reach your destination feeling cool and stress-free, ready to set off hiking in France. Free to download, the SNCF app is available in the Apple App store, Google Play and the Windows Store. France’s National Geographic Institute’s (IGN) app, named iPhiGéNie, is a tool for viewing maps of the whole country. It uses GPS and phone triangulation to offer real-time positioning, with maps downloaded onto your phone for use even when you don’t have a network connection – so you can use it even in remote regions, and you can always find the best hikes in France. There are various map scales to choose from, with the paper map-equivalent 1⁄25,000, the closer 1⁄12,500 scale, and even the hyper-detailed ​‘cadastral’ scales (for the truly cartographically inclined). It’s free to use for seven days. Unlimited access costs €14.99 per year with a Geoportal subscription. The advanced Vmax version (€5.99) has new features such as benchmarks and beacon GPS. Available for Apple and Android. Explore the mountains in sharper detail with the nifty Peakfinder app. Simply hold it up to the range in front of you to see the names of every mountain and peak around you. It works offline, and recognises every mountain range worldwide. The app knows over 250,000 peaks, ranging from Kilimanjaro to your local dog-walking spot, so you’ll never again be stuck wondering what you’re looking at. It is GPS-enabled, with compass and accelerometer sensors as well as a dialogue box for manually entering your coordinates. Only €2.90 to download, it is available on Apple, Android and Nokia devices. Lyon is the third largest city in France and a major gastronomic force, with hundreds of authentic bistros to choose from. Local Beaujolais and Cote-du-Rhône wines make an excellent accompaniment to dinner in one of these bouchons. However, for walking we recommend a stay in the charming city of Grenoble. From here it’s easy to reach the hiking locations of Chartreuse and Vercors in the foothills of the Alps, either by public transport or car. Book a comfortable hotel bed in advance with Choice Hotels, so you can rest those weary bones once you’ve hung up the hiking boots.